A few months ago I posted an easy homemade jello recipe that included gelatin. I sung the praises of gelatin back then and I’m raving even more about the wonders of gelatin now. Just wait until I tell you how I’ve been using my gelatin with really incredible results – you might be surprised at some of it’s uses! Making my homemade, easy Jello. This is so yummy and you can feel great about eating it or giving it to your kids because there’s no weird ingredients, no artificial flavors or colors and no refined sugars. Yet, it tastes just like regular jello! And you can have fun creating different flavors from all sorts of different fruit juices. Gelatin is especially great for kids because it helps build their growing bodies and strengthens their immune system. Using it in a workout recovery shake. I realize protein powder isn’t a real food and therefore it’s under a lot of criticism by many real food advocates. I am always an advocate of eating real food whenever you have that option, but I still used protein shakes after an especially grueling or long workout. I could never stomach real food right after an exceptionally hard workout so I relied on high quality, natural ingredient protein shakes to get the needed nutrients to my muscles. However, I’ve since ditched my protein powder and replaced it with gelatin. The specific amino acids in gelatin (mainly glycine and proline) are just the type of amino acids you need to build muscle, repair tissue and lessen inflammation. Several claims have been made that gelatin even boosts the human growth hormone and boosts metabolism (thus helping you lose weight and build muscle! ), making it a great option for a workout recovery shake or as supplement to real food workout recovery options. I add at least 2 tablespoons to my workout recovery shake (see my recipe HERE) and have noticed the same recovery effects as my protein powder. In my opinion, gelatin from grass-fed animals is a much healthier, natural option than many of the protein powders on the market. I’ve bid farewell to my protein powder and have had tremendous results with my gelatin. Adding it to my shampoo. This is the option I’m probably most giddy about because the results were immediate and downright amazing. I’ve been adding about a teaspoon of gelatin to each shampoo and shampooing my hair as normal (use less if you have shorter hair). I leave it in for a minute or two and then rinse out and condition as normal. Talk about major body and volume! Wow! I have fine hair and this did wonders for my limp locks. Actually buying some gelatin is worth it alone just for the wonders it did for my hair. I noticed a difference from the very first use. 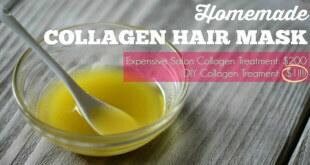 The amino acids in gelatin are incredible for strengthening the hair and giving it some really nice body and volume. If you have fine hair, you’ll love this little secret. Making a bedtime sleep tonic. Research has shown that consuming gelatin before bed helps induce sleep because of the glycine. Glycine plays an important role in the neurotransmitters within the brain. So not only will ingesting gelatin improve sleep quality, but it will also help reduce daytime sleepiness and help improve your memory during waking hours. I’ve been making a gelatin chamomile tea tonic before bed with great results. I first mix 1 tablespoon of gelatin with a small amount of cold water in a tea mug (this helps dissolve any clumps). Then I add my hot water to the mug with some chamomile tea. Chamomile further helps sleep and relaxation, so this bedtime tonic works extremely well! Using it as a digestive aid. 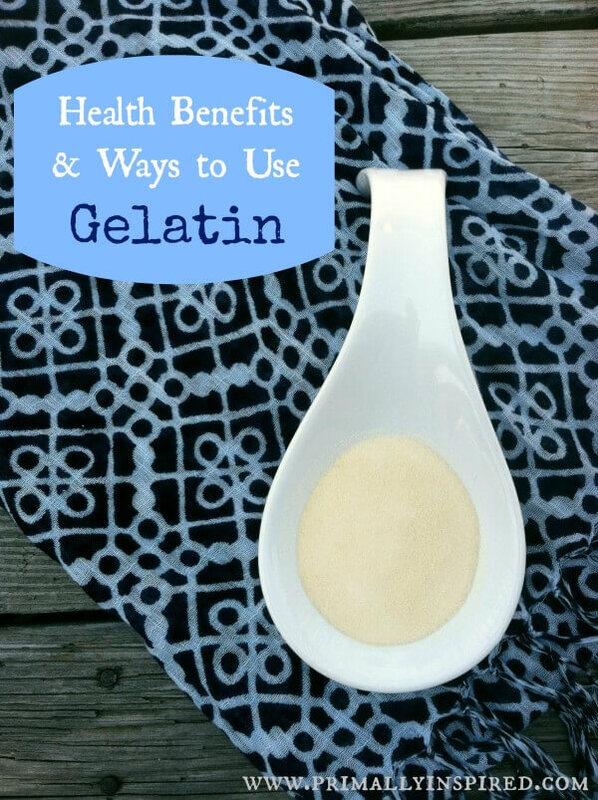 Gelatin is soothing to the digestive track and actually helps repair the mucousal lining. It also helps break down the protein and fat from foods, making them easier to digest. If you have digestion problems, adding 1 tablespoon of gelatin daily to a shake or tea/coffee will really help with digestion and heal the digestive track. Using it as an anti-inflammatory. The latest studies have shown that taking gelatin provides almost immediate relief to joint pain. The glycine in gelatin speeds wound healing, helps stiff joints and promotes recovery. It’s even said to provide relief just like taking an anti-inflammatory pill or cortisol. Instead of reaching for the Advil, my husband and I have been reaching for some gelatin. I mix it in tea (again, mix with a small amount of cold water first, then add your hot water) with wonderful results. I’ve been buying my gelatin online here because it’s the only brand that I can confirm from the company that they source from grass-fed, hormone free animals. I’ll continue to keep you posted if I try any new ways to use my gelatin and if it’s helped me or not. Do you take gelatin for any of these things, too? Do you know any new ways I should know about? Leave me a comment! 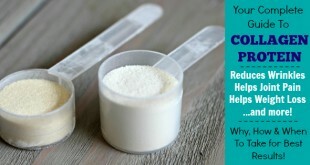 6 Surprising Benefits of Collagen PLUS Why, When & How To Take It For Best Results! 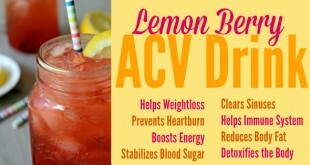 Discover the health benefits of Apple Cider Vinegar with this delicious Berry Lemon ACV Drink Recipe! It's one of the healthiest beverages you can drink! I’m so excited to try gelatin for my hair! I read elsewhere to put a teaspoonful in the full bottle of shampoo. Is that what you meant? Or do you use a teaspoon each time you shampoo? Thanks! Lindsay, I’ve read the teaspoon in a bottle of shampoo, too, but truthfully I didn’t notice any incredible results when I tried it like that. I got the crazy good results when I started doing a teaspoon each time I shampooed. I’ve been squirting some shampoo in my palm and then dumping about a teaspoon of gelatin into my palm and mixing it with my fingers. I have long hair, though. If you have shorter hair, I wouldn’t do as much – maybe a half teaspoon each time you shampoo. Sounds great! I’ll try that, then! I have pretty long hair, its over halfway down my back. I don’t want to cut it but it feels a bit thin since I’ve let it grow.I’m hoping this helps! Thanks for the info! I am so trying the hair trick. I’ve got the finest, straightest hair! There’s not a single cowlick on my head and it won’t even hold a curl for 5 minutes. I’ve been thinking about buying gelatin and giving it a try and I think your article just sold me! I was wondering about the shampoo though. I do the “no poo” method, do you think I could put the gelatin in my baking soda/water mixture and get the same results? Thanks for the tips! I’v been really enjoying your website!! for better digestion, do you drink the gelitin and water before your meals, or can you do it with your meal? it it’s before, how long before? 1 TBSP each meal? I agree it’s very nasty tasting. Perfect timing for these tips, just bought the 2 pack from amazon. Do you have any idea how much you should or can take daily? Thanks so much! I’d love to know what else you put in your protein shake. 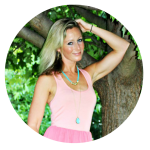 I’ve been searching for an alternative to protein powders for post-workout protein shakes and was thrilled to see your post. I’m wondering how much gelatin and what other ingredients you use. Thanks! I have the Great Lakes Gelatin but in the green can. Do you know if I can use it the same way you use yours? Yes, that would be perfect! I haven’t used the green can yet, but am planning to! The green can does not thicken like a regular gelatin does. It will be great for drinking & adding to shampoo…but not for the jello recipe. Do you ever use the same brand in the green cannister which dissolves much easier in cold or hot liquids and also is ingested into the body more quickly. “Hydrolyzed collagen helps regulate the body’s metabolism by providing pure protein of low molecular weight that is quickly absorbed in the digestive track. The rapid absorption and distinctive amino acid groups in this formula will positively impact a large number of metabolic pathways. The body’s natural ability to repair supporting connective tissue (bone, tendons, ligaments, cartilage, skin, hair, and nails) diminishes after the age of 25. 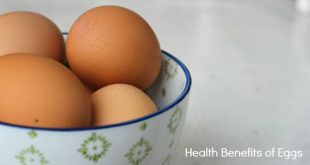 Collagen provides the source in supplying additional amounts of amino acids like glycine, lysine, and proline, which are specifically needed by the body to build connective tissue structure and to regulate the functions of the cells. Hi Rachel! Awesome, thank you so much for all that! I haven’t tried the green can yet, but was planning to. All this information is great to know! It’s also nice to know that it dissolves easier. Remember when choosing which gelatin to buy you take into account where the cows were raised. For example: Great Lakes brand uses animals raised in Brazil or Argentina these areas are not good places to buy bovine products from because they are probably raised on deforested rainforest land. Not only that but on their website, no where does it mention that the source are grass fed bovine, hormone or antibiotic free. They can tell you anything they want but why not be transparent and state it on your website like other grass fed gelatins (like Vital Proteins Collagen Protein). I’m highly suspicious of this company. The only thing on their company website, along with tons of other detailed info, is a kosher certification which expires in Dec of this year. Unless and until Great Lakes displays these statements on their website in plain site, I would humbly advise you shop for another brand. Hi – so glad I read the info you have on Great Lakes, I will look for Vital Proteins, maybe Amazon. Is there another you like. I also add the green can to my bone broth and it does not change the taste at all. I can’t wait to try the hair trick! I’m always looking for ways to thicken and strengthen my hair. Thanks for these great tips! Oh no!! I’ve read that just gelatin and water make a really nice hair gel, so that would make sense why it was so sticky using it with just water! Yikes! I see there are 3 types of this Gelatin on Amazon. Can you give me any guidance on what the difference is. I have rheumatoid arthritis and occasional digestive issues. I would like to know if there is dosage required / how much per day/month ? Or there is no limitation ? Great article and tips for using the gelatin. I’m new to gelatin, just began making gummies a few days ago with sugar free fruit juice concentrates, but I’m noticing its upsetting my stomach…can you consume too much gelatin in a day? My naturopath had me start using gelatin because my hormones are a little crazy right now and my skin had an immediate drop in elasticity. She told me ro have about two tablespoons a day. The Whole Foods nutrition aisle lady said the source of the gelatin (bovine, porcine, poultry) determines whether the gelatin will be best for repairing. Hair, skin, nails, bones or joints. I bought the can you show in your photo and add it to my shakes. I also put it on my dog’s food. She has major issues with skin inflammation and itching. Along with coconut oil and her homemade food, it all seems to be helping. Hi, I use this gelatin in my morning green smoothie. can you please post your shake recipe? Am going to try the 1t gelatin in some shampoo. thanks! Thanks. I’ve been trying to figure out ways to get more gelatin into our diet. Right after I turned 45 I began having GI issues (gastritis/GERD). Of course the doc immediately suggested drugs (PPI), but I wanted to try to heal it naturally, if possible. I’ve have heard gelatin (or bone broth) can actually heal the gut – is that true? I’ve also started having pain in my joints (mostly feet — especially the one that I sprained years back — and hands) so I’m hoping the gelatin will help that too! 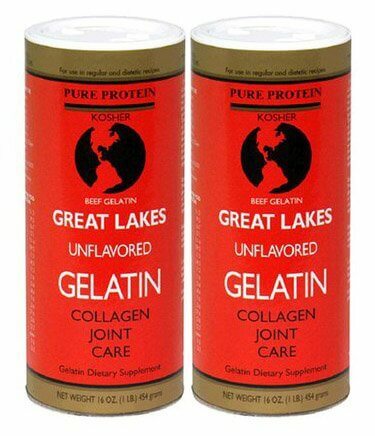 I have been taking Great Lakes gelatin (GREEN can) now for over a month and KNOW it’s helping my OA and Fibro joint issues…..I’ve used a lot of gelatins in my lifetime (75 now) and this GREEN can works the most I find…….it does not clump and NO TASTE….some talk about a nasty taste, I find none to be the case with the GREEN can gelatin. I add some to my shampoo too…and makes a nice difference to my fine hair. You’ve probably already figured out an easy way to dispense gelatin into your shampoo, but I thought that I would share how I make it so easy. Use a condiment squirt bottle (like those for ketchup and mustard). It makes it so easy to put a bit in your hand and, because it has a lid (if yours does not, a wire nut makes a good lid) it can stay in the shower. Oh wow, I love your idea!!! I’m implementing this asap! Gelatin is also great for frequent nose-bleeders! My mom always gave my brother Jell – water to drink. It stopped his nose bleeds when the weather was cold and dry! I’m sure that this gelatin would work the same! Thanks, Lisa! That’s very useful to know! Is this the same gelatin that results when making my bone broth? Is the canned purchased version just for convenience? I use organic shampoo, but add essential oils to it. Do you suppose it would be ok to still add the gelatin? Yes, for sure! I’ve been no-poo (only hot water) for the past 7 months, but before that, I only used organic shampoo with the gelatin. I’ll give it a try. Thanks for the tip. Also, just want to say thanks so much for all you do. 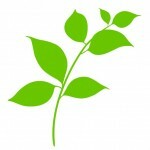 Your “Primally Inspired” has helped changed my life! *very grateful* Shine on!!! I have only used the Green, which I thought you used, I tried making jello, and that does not work, I think the gelatin in the orange can be for jello, am I right. And do use any other gelatin besides Great Lakes? I never thought that Gelatine could be used in hair products. I will try it in my homemade body wash and hand cleaner. I have just tried it in my coffee. I’m always looking for new ideas for my diy website recipies.